A short walk west from the Witch House is the Salem Public Library. On the top floor is the Salem History Room, where visitors can find primary source material and an extensive collection of books on the witchcraft trials. Also found here are Essex County Court Records and old maps of Salem. 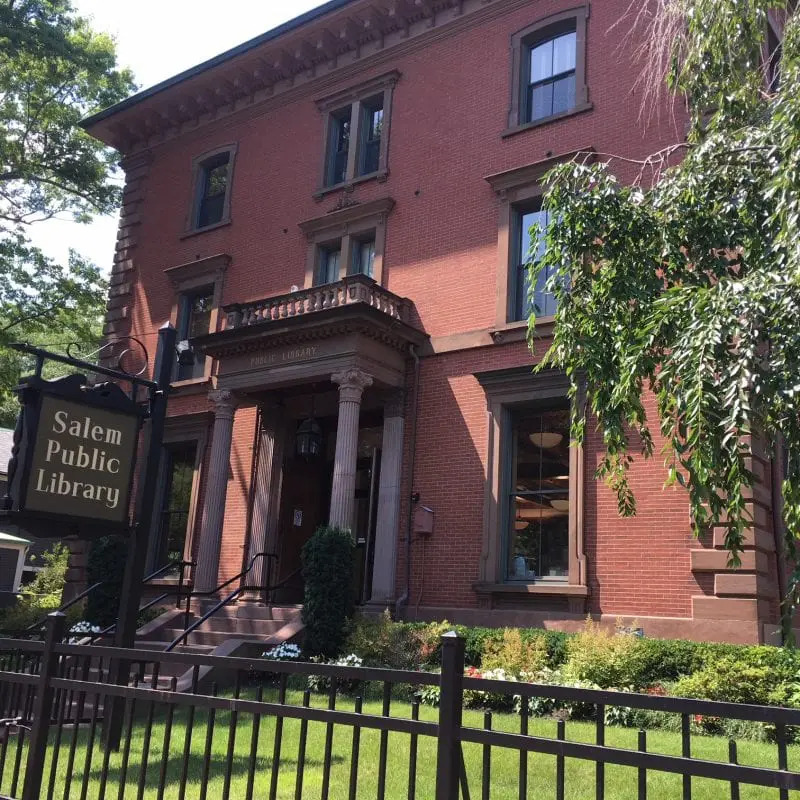 Additional note: This building, which has been the Salem Public Library since 1889, was originally built in 1855 for Captain John Bertram, a successful merchant and ship owner. Self-educated and a self-made man, Bertram went to sea at 16, starting as a cabin boy and working his way up to Master Grade by the time he was 28. At 36, he retired from the sea, and established his own shipping company in Salem. Considered the richest man in Salem at the end of his life, Bertram was also a philanthropist, donating a mansion and money to create Salem Hospital, and founding homes for needy men, women, and children. After his death in 1882, his widow and children donated the Bertram mansion to the City of Salem for use as a public library. In 1908, Bertram’s granddaughter, Caroline Emmerton, purchased the Turner-Ingersoll Mansion on Turner Street, which had fallen into disrepair. Ms. Emmerton renovated the house and opened it as The House of the Seven Gables Museum in 1910, with admissions helping to fund her House of the Seven Gables Settlement Association, a group that, to this day, helps the immigrant families in Salem.